And with all this talk about digital label printing, adopting a new technology may appear to be an overwhelming decision. Luckily, digital hybrid allows you to take your business to the next level. Hybrid technology offers the familiarity of successful flexo capabilities with the addition of digital printing benefits allowing you to produce finished product all in a single pass. Here we highlight 4 label converters who are mastering the addition of entry-level digital. Irish trade printer, JR Labels is committed to delivering high quality work on-time, every time to its customers. To support the company’s promise to their clients, JR Labels decided to add digital hybrid to their operation with Digital One. The addition of the Mark Andy entry-level digital label press has given them the ability to choose what technology they use for jobs based on run length and profitability. This is all possible because of the excellent print quality on Digital One matching the quality of work produced on their Mark Andy flexo presses. Another cost saving benefit of the hybrid machine is the use of their existing die tooling with Digital One. 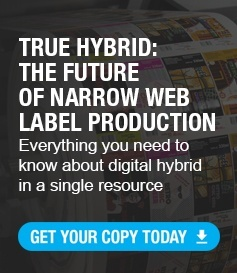 Learn more about JR Labels decision to add digital capability here. Label and tag manufacturer, Labels Unlimited, began a two year search for a digital label press when the company realized an increase in short run and versioned work they were having to outsource. In need of a machine that would accept unprimed material and would not require ancillary machinery for lamination and finishing, ultimately led them to purchase Digital One. The addition of the digital label press has enabled Labels Unlimited to produce previously outsourced work at a fraction of the cost for outsourcing - providing a win-win situation for them and their customers. 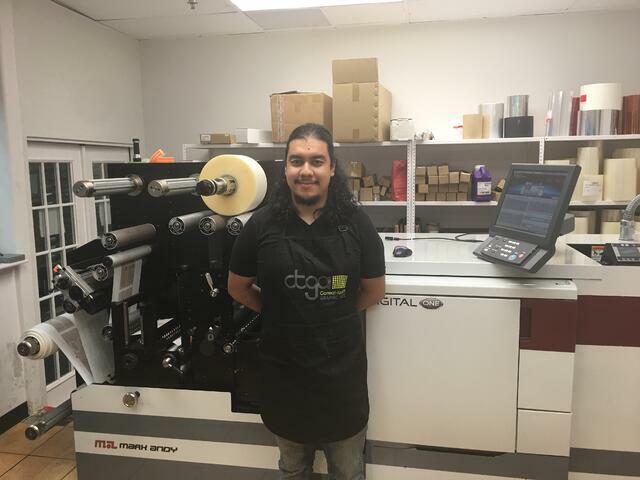 Labels Unlimited reports the CMYK digital printing and converting asset was profitable for their operation from day one. 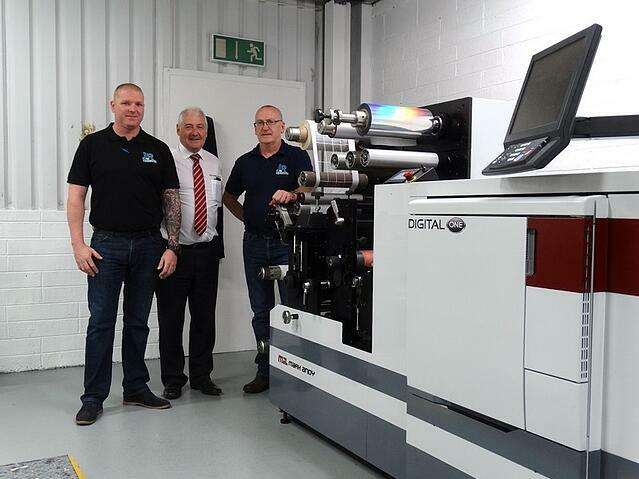 Family-owned label operation Primera Polska decided to invest in Digital One when they realized they needed to increase their capacity for runs of 500 – 5,000 labels printed in four-color process. Typically, Primera uses the digital label press to produce 125,000 labels of 200 different designs in under two hours. Since the install, they’ve been able to increase capacity by 800% and offer a 24 hour lead time on most jobs. Watch the video or read Primera’s story here. Blair Labeling, a label converter based out of Colorado purchased the Digital One to profitably meet the increasing demand for low volume, high mix work their customers were requesting. One of the main benefits of the Mark Andy hybrid solution is the machine’s ability to match color and free up capacity on full-production flexo assets. With the addition of the digital asset Blair reports overtime is non-existent, sales are up, and their plate spend has decreased by 18%. Learn more about Blair’s growth plan here. Read the full story here. The results are in, adopters of Digital One are winning. By leveraging the advantages of digital with the proven capabilities of flexo in a single pass, users report adding 35% more work, 18% cost reduction in overtime, material waste, and consumables, and 27% are able to deliver to their customers in 24 hours. This is all achieved by an entry-level digital hybrid press. Demands for shorter run lengths and faster lead times aren’t slowing down anytime soon. The need for an affordable solution to meet these demands continues to grow. Mark Andy Digital One gives you the opportunity to set your business apart from the competition. It’s the lowest cost entry-level digital label press on the market. 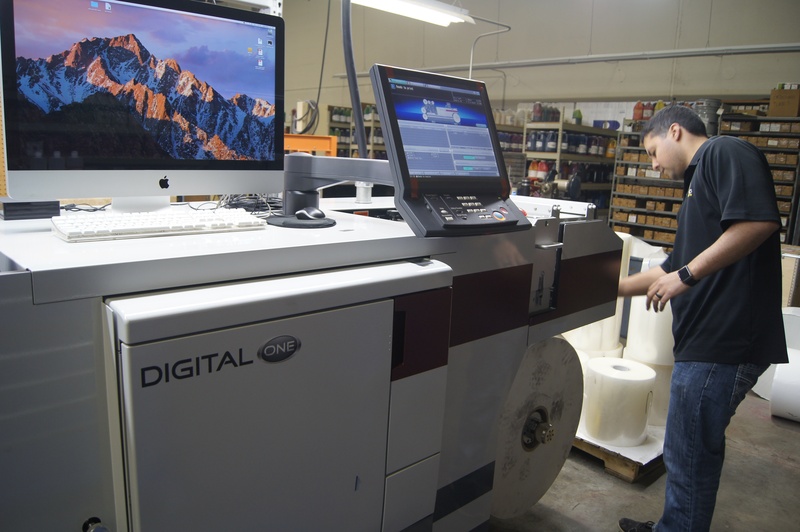 With a standard configuration proven to support 80% of known prime label applications, Digital One is an all-inclusive solution to support short run label work offering CMYK digital printing, inline converting and finishing in a single pass.